Better Loosen Up has been rated as one of Australia's top thoroughbreds over the past 25 years. He is the only Australian thoroughbred ever to win the Japan Cup (in 1990). This win followed a win in the Cox Plate when Better Loosen Up equalled the course record time. He also won the Australia Cup in 1991, defeating the gallant Vo Rogue, trying for three wins in a row. Better Loosen Up was the star guest at the 2004 Australian Racing Hall of Fame Awards where he was inducted to join immortals like Phar Lap and Octagonal. Fairytales don't generally come true in horse racing. Fields Of Omagh (Foo) completed a fairy tale ending to his stellar career at Moonee Valley in winning the Cox Plate on October 28th 2006. Foo was the oldest runner at 9 years and was running in the great race for the 5th successive year. Previously, only Tranquil Star had achieved such a feat in the late 1930s and early 1940s. All Victorian bred and passed in at the Melbourne Premier sale for $45,000, Foo raced for 7 straight seasons. The gelding has been a great testimony to the training grounds of Lindsay Park. Fields of Omagh travelled the world to Japan, Dubai and Hong Kong to compete at the highest level. He suffered 2 suspensory injuries to both front legs, yet was able to come back better through the great management of the Lindsay Park team. The bravest of horses, he came through the wonderful era of Makybe Diva, Northerly, Sunline and Lonhro. The highest stake earner to be sold in Victoria he sits at 4th on the all time stake earners at close to $6.5 million. Foo's retirement was announced on Cox Plate eve and he came out to produce a last to first best ever performance that took the son of Rubiton to legendary Status. Miss Finland was an amazing racehorse. She commenced her career at 2yo winning her first two starts before running 2nd in the G1 Blue Diamond Stakes to stablemate Nadeem. She was then sent to Sydney to tackle the G1 AAMI Golden Slipper, the world's richest juvenile race, in which she blitzed Australia's best two year olds to win the race by 4 1/2 lengths. Her stellar form continued into her three year old year, when she won the G1 Thousand Guineas (1600m) and then she was successful again in the G1 Crown Oaks (2500m) during the Melbourne Cup Carnival which demonstrated her versatility and class. She won a further two Group One races in the autumn to finish her career with five Group One wins (she was also second five times at Group 1 level). 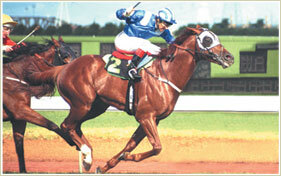 SHe was named Champion Australian 2yo of 2006 and Champion Australian 3yo filly of 2007. She is now enjoying a career as a broodmare and is one of the most valuable mares in the country. Jeune started his racing career in the UK for Sheikh Hamdan bin Rashid al Maktoum where he was the winner of the G2 Royal Ascot Hardwicke Stakes. After being sent to Australia in 1994 he was successful in the G1 Underwood Stakes, ran 2nd in the Caulfield Cup and the MacKinnon Stakes before giving David his first win in the Melbourne Cup in 1994. 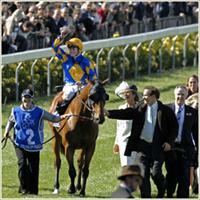 Jeune won the G1 CF Orr Stakes and G1 Queen Elizabeth Stakes to finish his career as a four time Group One winner. After his racing career was over, Jeune had a successful career at Stud, siring the winners of in excess of AUD$32 million including Group One winners Mummify, True Steel and Young Centaur. A home-bred gelding with looks only a mother could love soon became a stable favourite. He showed talent by winning his first five starts as a three year old but the best was yet to come. He competed at Group One level in 33 of his 55 career starts in Australia, Dubai and Hong Kong for five wins and five second placings. 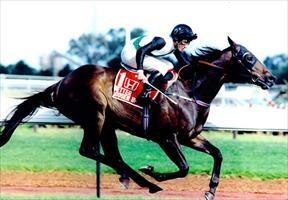 He won the VRC Australian Cup, the MRC Futurity Stakes (twice) and the WATC Kingston Town Classic (twice). He was retired at the peak of his powers after suffering a tendon injury during the G1 HKJC Queen Elizabeth II in 2009. At the end of the 2009 season he was named the joint second highest rated horse in the Australasian 4yo+ Classification (intermediate). Elegant Fashion started her career at Lindsay Park, under the care of Tony McEvoy, where she was a multiple G2 winner and 2nd in the G1 Australian Oaks. She was then transferred to David's Hong Kong stable where she was successful in the HK$13,700,000 Hong Kong Derby (2003)at her fourth start in the country. She was the first female winner of this race in 27 years. She also ran 2nd in the G1 HKJC Queen Elizabeth II Cup (twice) and 3rd in the G1 Hong Kong Cup (behind Falbrav and Rakti) and placed in five other HK-1 races. Originally trained by Colin Hayes, Planet Ruler was a sensational sprinter-miler and one of the stable star's when David took over the reins at the beginning of the 1990-91 season. Planet Ruler won the G1 Gadsden Stakes (defeating Redelva and Vo Rogue) to be part of David's world record, six Group wins on Derby Day in 1990. 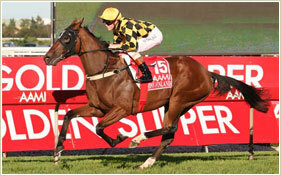 In subsequent preparations, he won the G1 George Main Stakes and G1 Honda Stakes (now known as the Emirates Stakes). Planet Ruler finished his career as a five time G1 winner.